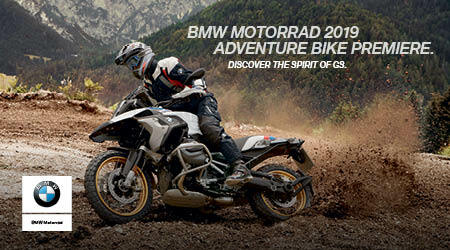 Overview: For almost 40 years, the BMW GS series has been the bench mark in the adventure bike class. For 2019, BMW is launching three redesigned GS models that are sure to keep BMW at the top of the pack! Come join us on Saturday, December 8th as we welcome the new BMW F750, F850, R1250 GS and R1250 GSA to Hermy’s during the BMW Motorrad 2019 Adventure Bike Premiere! There will be sandwiches, refreshments, BMW door prizes and weather permitting – demo rides! So ride in and let our well experienced sales staff show you the new goodies – no shop rides more than Hermy’s!